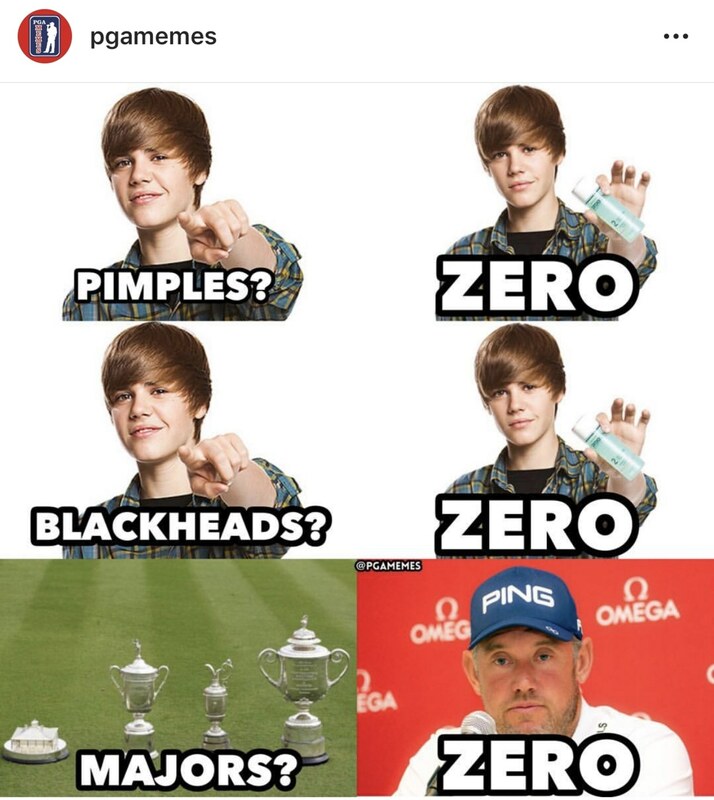 If you follow @PGAMemes you know why it’s one of the most discussed Instagram accounts in the golf social media space . . for better or for worse. Always toeing the line and occasionally (and admittedly) crossing it, the page is full of laugh-out-loud posts that blatantly convey things we’re all thinking but either deem as inappropriate or we’re just afraid to say. The man behind the memes, who chooses to remain anonymous (he explains why below), has grown the account to just shy of 200,000 followers and gains over 1,500 new fans each day. 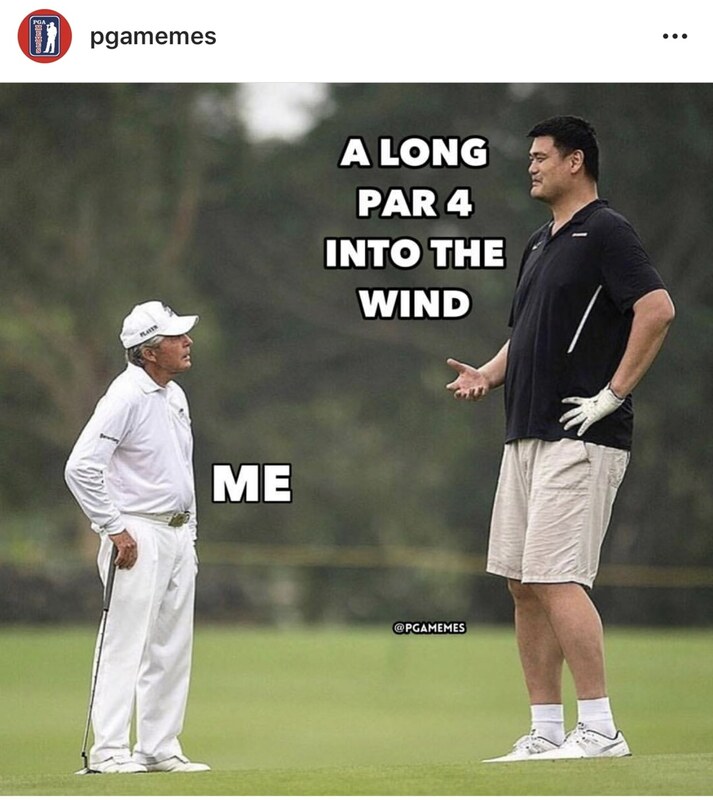 Get to know the guy behind the sometimes controversial but always hilarious Instagram account, PGA Memes. 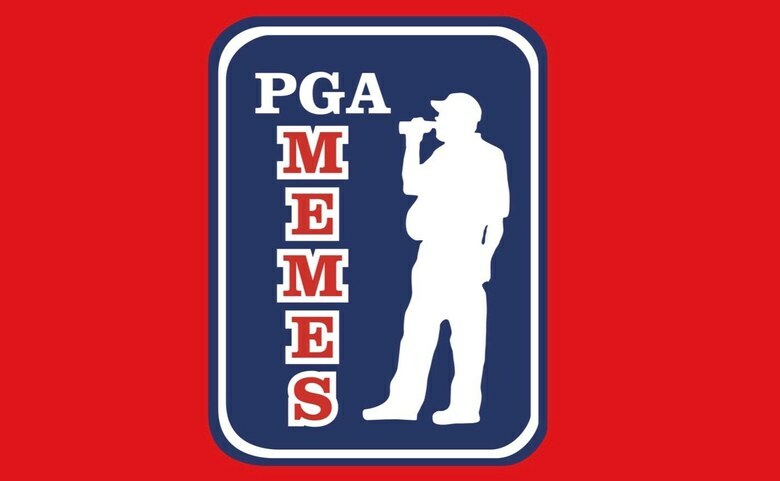 When did you start PGA Memes and why? I got started last January. For me I’m not that great of a golfer. I’m not scratch by any means, but I see a lot of humour in golf and try to bring a little life to the sport. Some people will say it’s stuffy, but there’s a lot of fun in the game. When I looked around and saw what the Instagram community had from a golf perspective, there was a void. 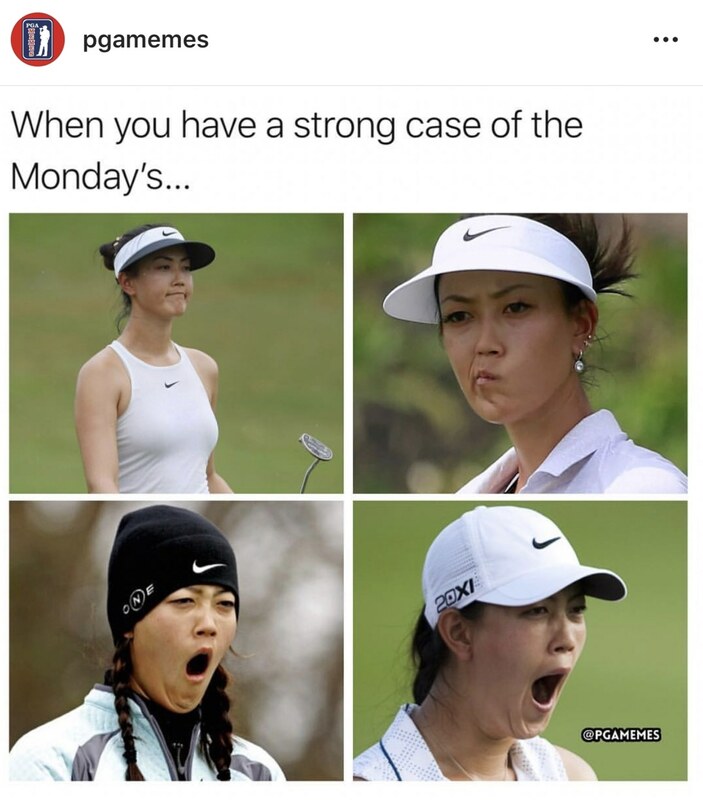 I liked meme pages from all different sports, so I thought, “Wow there’s an opportunity for a golf page to bring a different dynamic.” Be a little savage, attack some of the tour pros, poke fun at the average player. So I started it, and it just kind of spiralled out of control. What was the moment you knew you were really onto something? Last year’s Masters. I’m not a huge Patrick Reed fan which you can probably tell from following the page, so I made a couple posts about people’s displeasure with him winning. Those posts started going viral and were shared with thousands of people, and the followers started flooding in. I had like 10,000 followers at the time and after a couple of posts it skyrocketed to 30,000. So I thought. wow people are looking to me to generate original content—you know the kind of things that we want to say but we don’t—and the page just continued to take off. Despite being a private account, it’s grown at such a rapid pace. Wouldn’t it have more followers if it were public? What’s crazy is I learned last year meme pages are shared a lot amongst friends, and when you have a profile with a good username like I have and high profile people following that gets shared in direct messages, people will request to follow as opposed to just looking at a single post. By being private, my account is growing at five times the rate it was. It also makes people question unfollowing you because it makes you think, “Are you sure?” Being private may block the pros from seeing the content I make about them, which is unfortunate, but it is what it is. Not many people know your true identity. Why do you choose to remain anonymous? It’s fun! It adds mystique. People often ask who I am. Am I close to the tour? Am I a caddie, a manager, a player? The other reason is that I go at the players hard, and I don’t care for them to know who I am. Walk us through the meme-making process. Wow, content calendar, so you’re pretty serious about this. What’s your day job, and what are your aspirations for PGA Memes? I’m an executive that focuses on sales, marketing and business development. Understanding your content calendar is key because you don’t want to overdo it, and you need to know the right times to post. So I have that embedded in me from my day-to-day career. And for this, it certainly has taken off and opened the doors to some opportunities, but I’m not quite ready to quit my day job just yet. But the page is getting over 6 million impressions a week and it’s growing over 1,500 people a day, so I’m projecting to hit over a half a million followers by the end of the year. So who knows? When you get to that point you never know where it can take you. Overall, it’s just a hobby, it’s fun to do. It’s kind of an escape from day-to-day reality. What’s the coolest opportunity that’s come from your account? I just scored some practice round tickets for the Masters from a follower. Her husband won it back in the day. I posted something about a countdown and looking for tickets, and she came through and delivered. So just cool things like that pop-up. What’s the most successful meme you’ve ever made? A recent one that really blew up is the #10yearchallenge. Everyone’s feed was blowing up with that, so I took the opportunity to poke fun at some of the players. 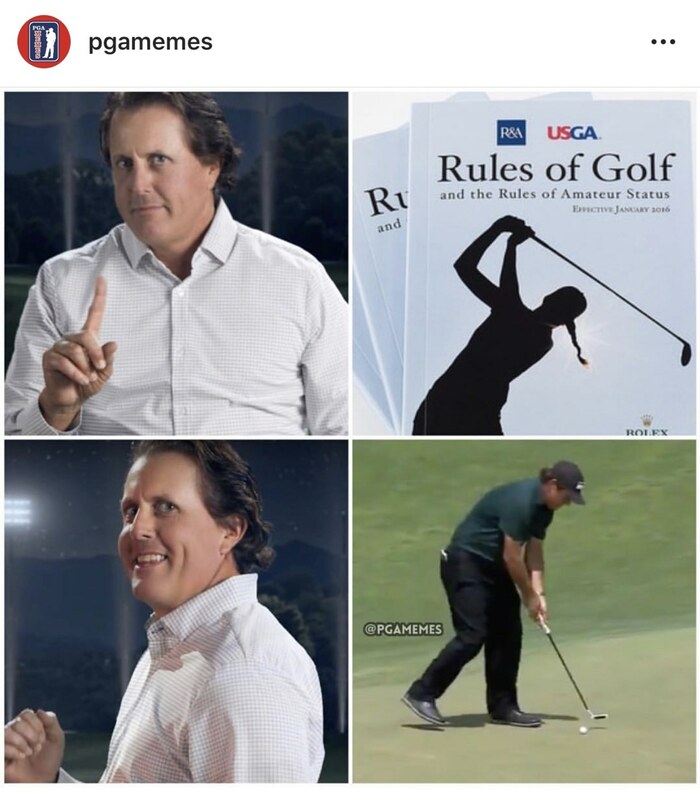 Another one was combining Phil’s’ putting debacle at the U.S. Open with his Mizzen + Main video saying “no” to the rules of golf and then “yes” to what he did at Shinnecock. That meme went viral as well. There’s been a lot and it’s just been fun to see people take the page in stride and share the content with their friends. Who is your favourite pro to make memes out of? 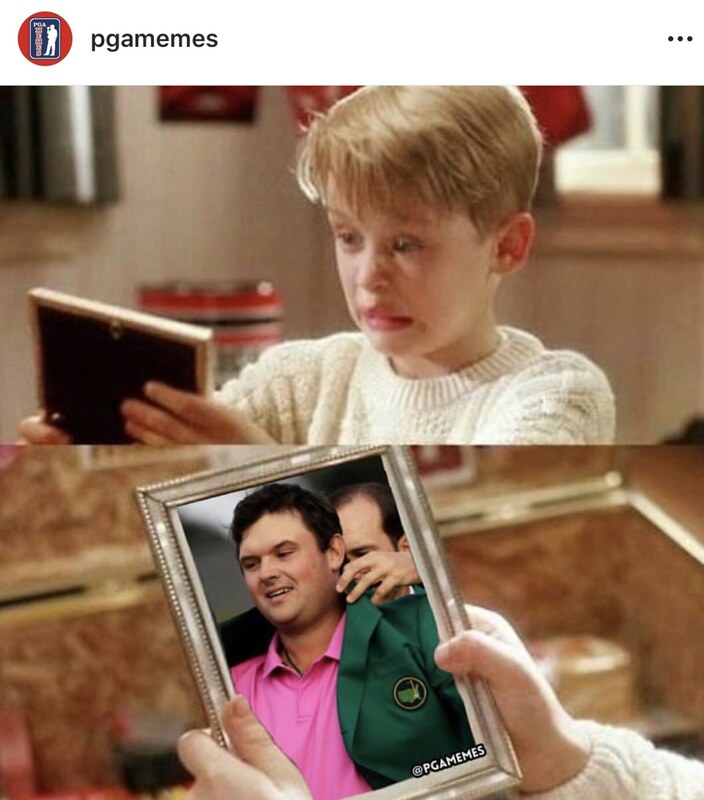 It’s always fun to make memes out of Patrick Reed, Ian Poulter and Bubba Watson. Those three are easy targets. 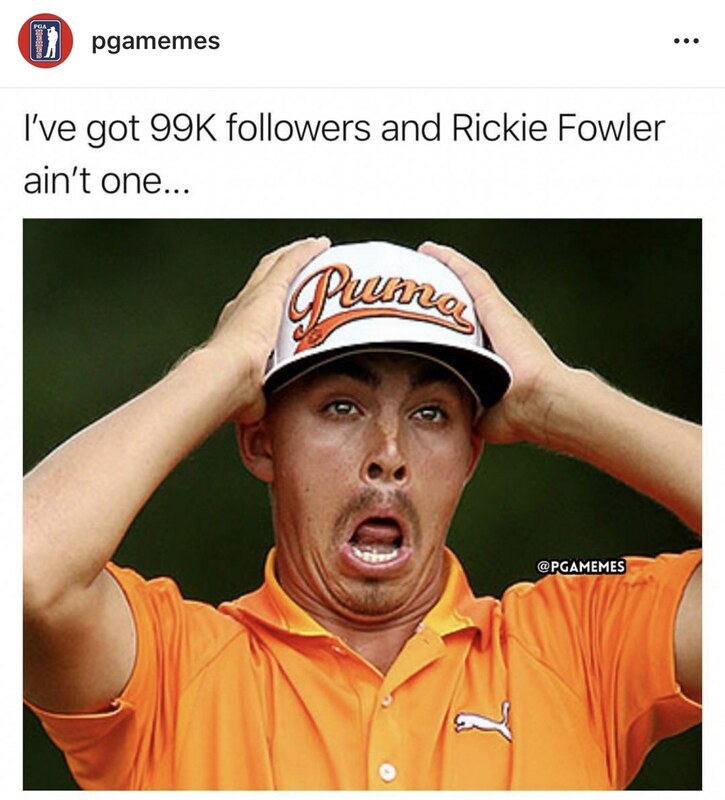 But it’s fun to poke fun at someone like Rickie as well, even though I’m a Rickie fan. Everyone is at risk. I love to make them about Michelle Wie too because she’s always interacting on the page and the fans love to see that as well. Lee Westwood has come at me pretty hard in the comments. There’s one of two ways that you can handle it. If you handle it positively, you can see the fans come together and be like ‘Wow you’re so great.’ And if you take it negatively, it just adds gasoline to the fire. Are there any memes that you regret? I’m trying not to personally attack anybody. There were a couple that I went too far with last year. I went hard at Smylie Kauffman. He was very meme-able for a period of time with the state of his golf game and he was high profile with the spring break trips and the friends he has. So I went at Smylie for a little bit and there were some funny posts that were light-hearted and he commented on a couple. He was taking the high road. The one I regret was a post I made of a photo of Smylie’s wife reading her vows and I made a meme saying something along the lines of “Looking at the scorecard- honey, these are rookie numbers. You need to pump it up.” At the time, I thought it was funny, but he messaged and shared his displeasure. I immediately regretted it and took it down. I felt bad. I knew it was too far and issued a public apology. So I’ll keep it an even playing field going forward and not personally attack anybody or involve anybody’s families. Smylie’s a good guy and I know that he’ll be back and winning on tour. 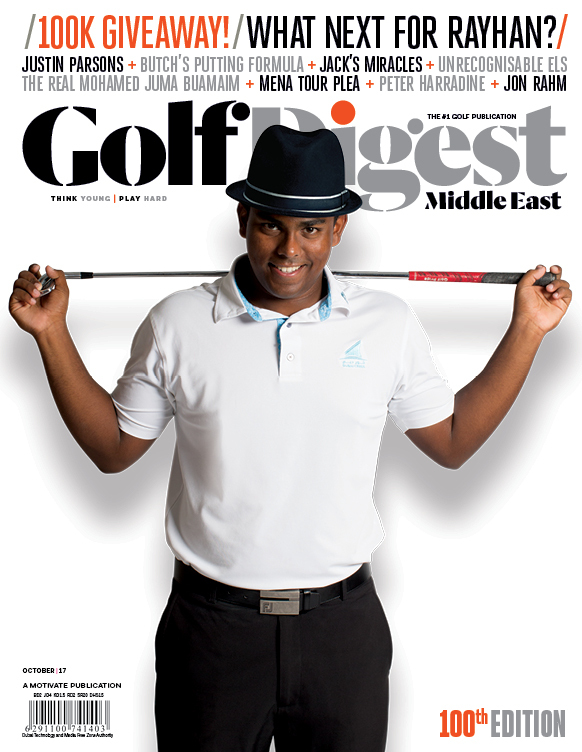 Who’s one golfer that you’d love to engage with you but hasn’t yet? Rickie. I’ve met him once before and he seems like such a great dude. What’s your best piece of advice for others attempting to enter the viral-meme account business? Be yourself. Quality over quantity, and be original. There’s a lot of people copying and reposting, but no one wants to see the same thing in their feed a million times. Just be original, be patient, and the page will grow.